Take the stress out of planning your transfers in the South West and the rest of the UK and let us take care of the details! 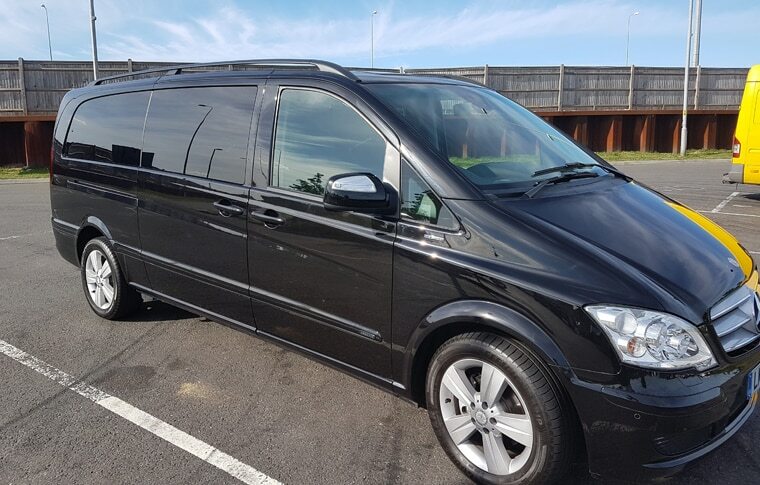 We're proud to offer expertly-driven, comfortable and reliable transfer solutions in our luxurious Mercedes Benz Viano. The leather-trimmed vehicle is spacious, air-conditioned and fit with an in-car DVD system. So all that's left for you to do is sit back, relax and enjoy the journey! Like all of our tours, our transfer service is flexible and designed to best suit your needs. We offer transport through the South West region and the rest of the UK. In the past, we’ve provided efficient solutions for corporate outings, airport transfers, sports functions, weddings and much, much more. Simply get in touch to discuss your transfer requirements. His vehicle is licensed with the Local Authority. He is an Institute of Advanced Motorists Qualified Advanced Driver. He holds a private hire driver's licence from the Local Authority. He is a qualified emergency first aider and carries a first aid kit in the vehicle. He holds an enhanced DBS (CRB) certificate. He has an IOSH Health and Safety qualification.